The 70th Republic Day was celebrated at DPGA with immense passion and enthusiasm. The patriotic fervour was felt in every nook and corner of the institution. The event commenced with the hoisting of the National Flag and singing of the National Anthem. The students filled the ambience with rhythm and melody with a patriotic song in Marathi. Their enthralling dance performances based on themes like- “Unity In Diversity” and “The 26/11 Mumbai Terror Attacks” followed by impactful speeches by the students. Last but not the least, to enrich the flavour of patriotism the students fascinated the audience with a power packed “Lezim Dance.” In a nut shell, it was an event with memories worth cherishing. A salute of 21 guns and the unfurling of the Indian National flag by Dr. Rajendra Prasad heralded the birth of the Indian Republic 66 years ago. From the conceptualization of the dream of Purna Swaraj in 1930 to the actual realization of the idealistic dream on the 26th January 1950, the journey was long, arduous but heroic! This historic day of January 26 is therefore celebrated with festivities and patriotic fervor all around the country, and Dr. Pillai Global Academy was no exception! The glorious day began here early with all the staff, students and their parents assembled on the grounds of DPGA. The celebrations commenced with the hoisting of Indian Flag by school Head-Boy Salman Naik, even as the entire gathering stood tall and erect in a National Salute and sang the national anthem with pride befitting the occasion! The tricolor embodies all those brave-hearts who continue to valiantly lay down their lives for its honour, and students from the primary section of the school then paid a musical tribute to it! This was followed by a melodious ode to our sujalam (rich with bubbling streams) suphalam (rich with fruit-laden trees) motherland, along with a fervent recitation of Gurudev’s poem. Little Soham from grade 3 then played the Tarana-e-Hind ‘saare jahaan se achha’ on violin along with Ms. Mabel. The guitar students added to the atmosphere with renditions of patriotic songs, and it rose to a crescendo with their teacher Mr. Kuldeep playing Gandhiji’s favourite bhajan ‘Raghupati Raghav Raja Ram’ to spirited accompaniment on the dholak by Mr. Satish. Next, in likeness with the magnificent march-past by our soldiers, young students from grade 1 displayed the perfection of their exercise regime in form of a drill complete with colourful pom-poms! The dance students from grades 5-7 brought alive the festive spirit of this day with a colourful folk dance that had the audience clapping their hands to the beat, and girls from grade 8 gracefully performed a beautifully choreographed dance to veteran Shubha Mudgal’s “Vande Mataram’. Students from grade 6 and grade 9 gave short speeches that spoke eloquently of how the young generation of India is committed to the cause of India’s progress and development. The morning’s cultural programme came to an end with a fabulous display of strength, balance and control by the budding gymnasts of the school. Certificate for The Star Performer of DPGA was awarded to Ishita Deshmukh from grade 8 in recognition of her numerous outstanding achievements in the field of sports and athletics. The vote of Thanks was proposed by the school head-girl Tejal Borade. These celebrations were followed by an Inter-house Sports’ event for students from grade 6 to 12. Though a competitive event with passions running high and all houses vying for the top position, the games and activities were interesting and fun-filled. In the increasingly bright glow of the sun, the grounds of DPGA were warm with sounds of laughter, cheering and a show of camaraderie in true sportsman- spirit. The 66th Republic Day was celebrated with zeal by Dr. Pillai Global Academy, New Panvel on the 26th January, 2015. The programme was attended by the entire school community including teachers, students and the parents. 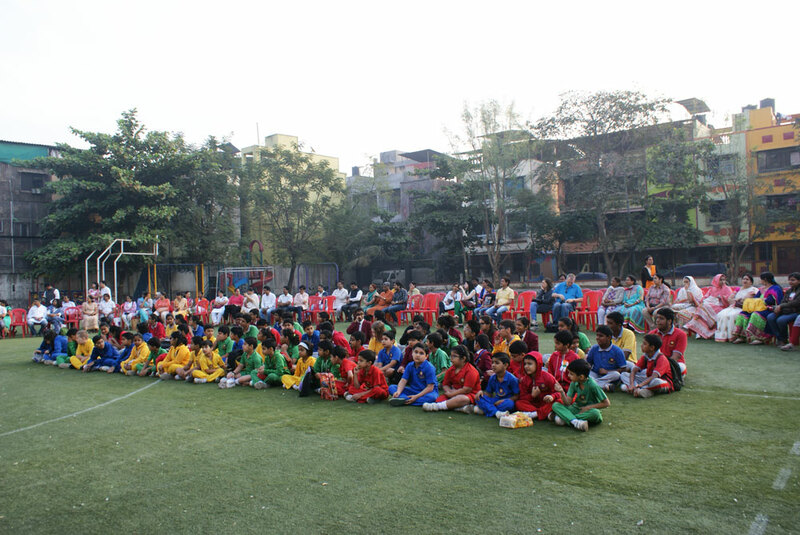 The celebrations started with an address by Mrs. Anjna Sahi, Principal. The flag was hoisted by the Chief Guest, Ms. Aishwarya Sridhar, alumnus of the school. After the national anthem and the flag song rendered by the school choir, Ms. Aishwarya Sridhar addressed the audience. She stressed on the importance of working together as a nation to make India stronger in all aspects. A song and a dance performed by the Midgets, both on the theme of patriotism, not only entertained the parents, but also filled their hearts with patriotic fervour. The next was a speech by Sayyoni Bhalekar (Grade 3) which impressed the audience with the strong message and the confidence with which it was delivered. The next programme was a musical presentation by the middle school which captured the adventurous lives and selfless spirit of the soldiers who protect and serve the nation. A passionate rendition of the song ‘Ma Tujhe Salaam’ and a speech by Mrs. Nitu Khanna, faculty member followed. After one more patriotic song and a folk dance the programme concluded with an evocative violin recital by Mrs. Mabel Chan Pillai. The cultural programmes showcased the talent of the students trained during the Extended Activity Sessions which function on three days per week throughout the year. The students who played various musical instruments during the programme contributed effectively towards the overall success of the event. Certificates of merit for Shirsa International Cognitive Championship and Camlin Art Competition were distributed during the programme. The day’s events ended on a positive note with sweet distribution and a renewed pledge to work together towards the betterment of Mother India. The Early Years celebrated Republic Day on Friday, 23rd January 2015. Some of the children came dressed as national leaders while the rest were dressed in white. The children were shown a ppt. on Republic Day to create awareness about the day. This was followed by the singing of patriotic songs by the children. Then the young national leaders spoke about themselves.